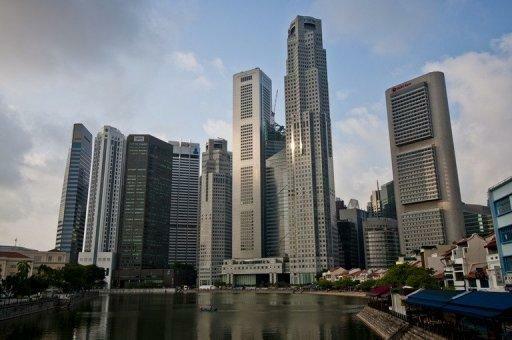 The skyline of Singapore's financial district. One of Singapore's sovereign wealth funds confirmed Monday that it will boost its stake in a Chinese insurer after announcing a shift in focus from developed markets to emerging economies. One of Singapore's sovereign wealth funds confirmed Monday that it will boost its stake in a Chinese insurer after announcing a shift in focus from developed markets to emerging economies. The Government of Singapore Investment Corporation (GIC) will up its stake in China Pacific Insurance (CPIC) to 10.61 percent from 2.30 percent, according to a statement from CPIC. GIC is to purchase more than half of the 462 million new "H" class shares that will be issued by the Hong Kong-listed insurer, the statement said. The fund will be buying the shares at a 7.9 percent discount to CPIC's average closing price of HK$24.44 in the 30 days leading up to the agreement. Norway's central Norges Bank and the Abu Dhabi Investment Authority are the two other parties taking part in the share placement, CPIC said in the statement posted on the Hong Kong Stock Exchange website. CPIC said the proposed share placement "represents an opportunity to raise capital for the company while broadening the shareholder base. "Further, the proposed placing will enrich the company's capital, increase the solvency ratio, ensure the stable and sustainable development of the company's business and enhance the company's market competitiveness." CPIC shares were down 1.30 percent, or 30 Hong Kong cents at HK$22.70 as of 0325 GMT Monday, its first trading session after the announcement. GIC has increasingly turned its investment focus to emerging markets such as China as it looks to developing economies at a time of stuttering growth in the United States and Europe's debt crisis. In an annual report issued in July, GIC said it reduced its exposure in developed markets, cut its holdings in equities and bonds, and started building up cash holdings for future opportunities. The report also showed GIC's exposure to Asia increasing slightly to 29 percent from 27 percent. According to the US-based Sovereign Wealth Fund Institute, GIC is the eighth largest state investment fund in the world with $247.5 billion under management. The Abu Dhabi Investment Authority is the largest with assets of $627 billion.